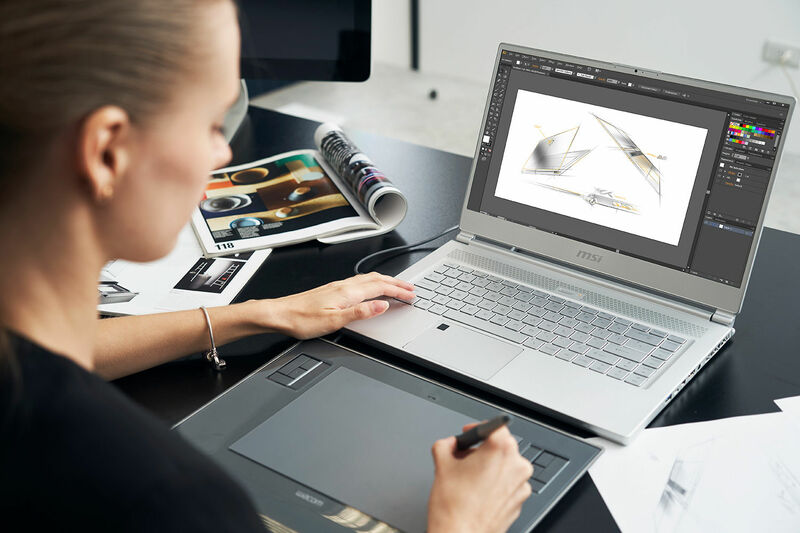 With all the visual specs any content creator needs, the P65 from MSI is the ideal laptop for artists and designers. 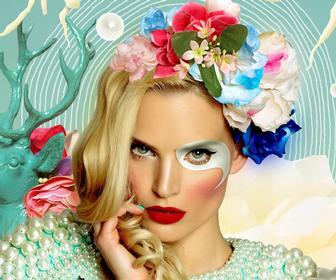 Whether working in art, design, photography or video, all content creators share the same needs. Power, good visual specs, and something to easily carry for when inspiration strikes next - these are the basics for any creative, no matter their field. A tablet can offer you portability - but not the processing power needed. A laptop may have that power, but may on the whole be too bulky to carry in public. The best solution then is something that combines the best of both worlds - something like the new P65 Creator from MSI. 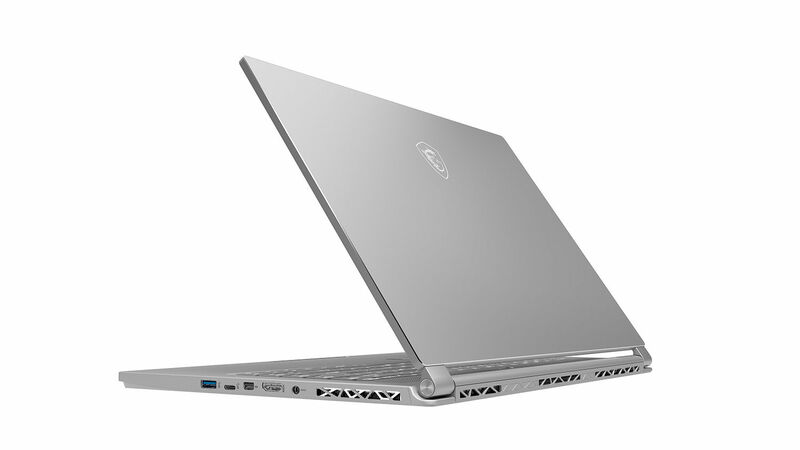 The P65 Creator is a high end, premium choice laptop that comes with an 8th generation Intel® Core™ i7 processor, perfect for intense 3D rendering and multitasking. Under the hood you’ll also find one of the latest NVIDIA® GeForce® GPUs, meaning discrete graphics and formidable performance. Impressive hardware already, but note it also comes with the sleekness of Max-Q design, meaning the laptop is thin as it is without any compromise on power whatsoever. 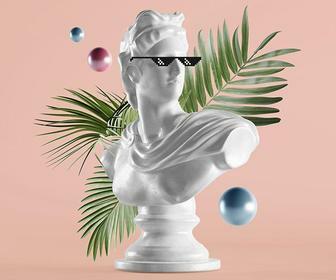 "Programmes used by creative professionals demand real CPU and GPU power, to enable intense rendering and multitasking," says MSI global sales head Steven Chen. "To support this, our devices come equipped to hardware that can handle the challenge." With such a high CPU and GPU performance, one would expect high temperatures - but MSI's Cooler Boost Trinity helps to tackle that, giving you an impressive total of three fans and four heat pipes beneath the hood, keeping the P65 cool and quiet during intense use. Also exclusive to MSI is SHIFT, which allows you to fine-tune and cool your system with ease through the option of various modes. The SHIFT Sport Mode provides both a CPU and GPU boost, whilst also allowing users to maximise the fan speed and provide the best cooling solution for intense and sustained usage. Comfort Mode meanwhile gives a smaller CPU boost, as well as a lower fan speed. There's also ECO mode, which allows you to make the most of the device’s battery life. 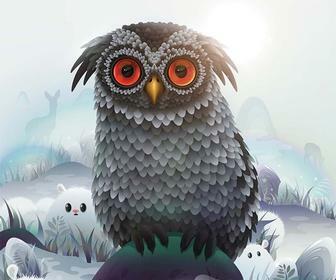 Experienced users will enjoy Advanced Mode, which allows adjustment for all CPU and GPU fan speeds. 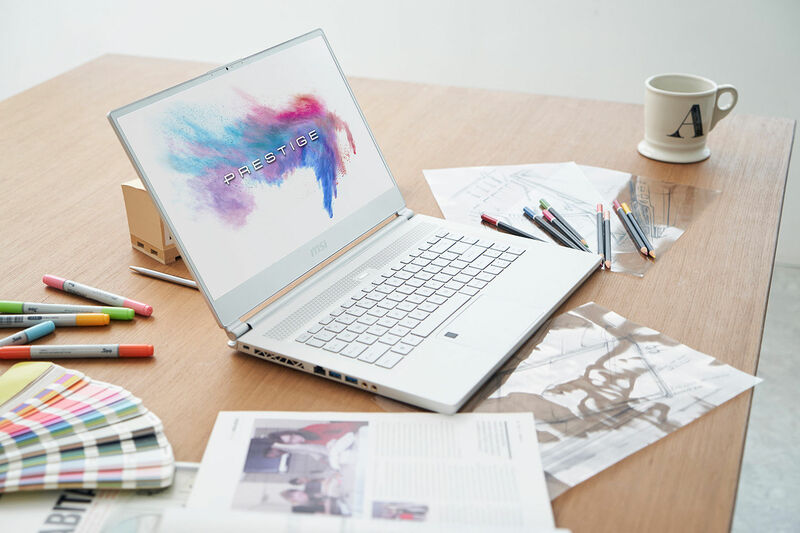 With close to 100% sRGB output and an IPS display panel, the P65 Creator has a screen that ensures the perfect colour coverage envisaged for your content. 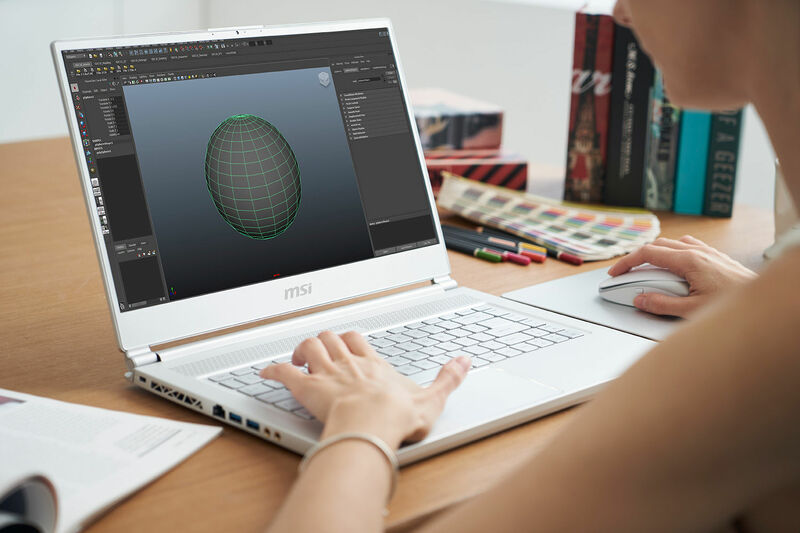 Use the MSI exclusive True Color Technology to switch between the right screen modes for both recreation and creation. 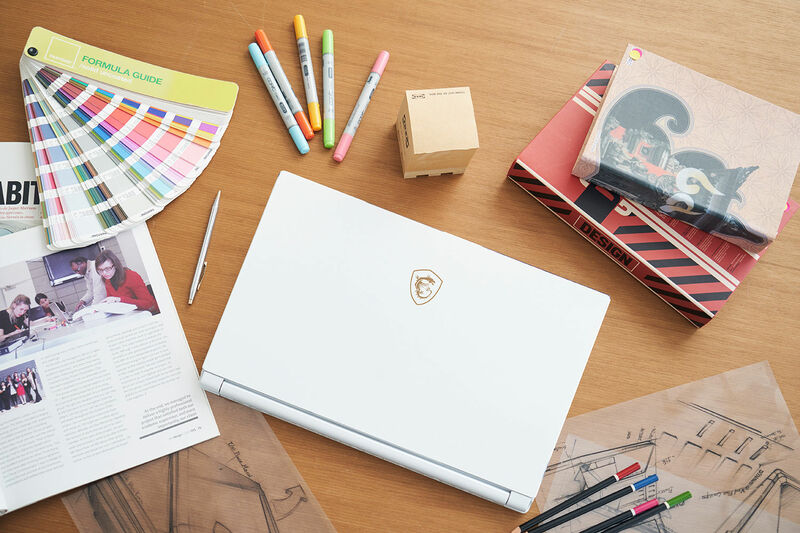 Speaking of colours, the laptop itself comes in two shades, with a limited white edition offering a 144 Hz fast refresh rate. 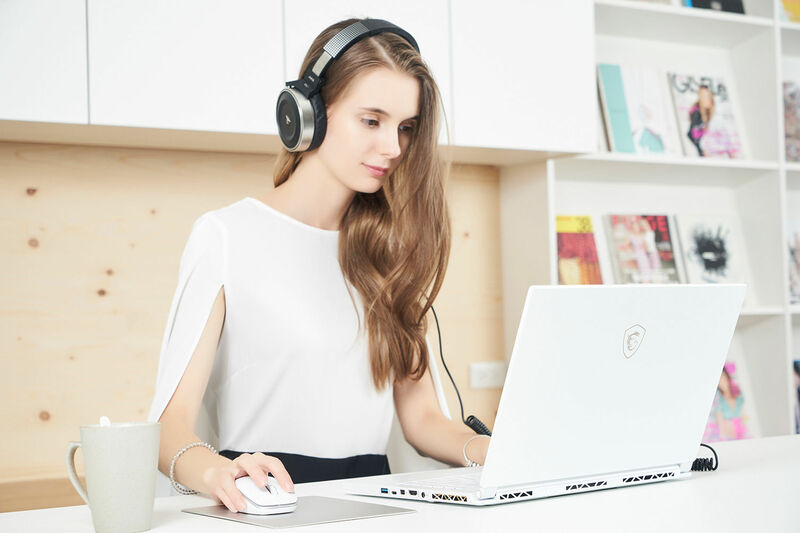 Both this version and the standard silver make have the same thin bezel at just under 5mm, meaning you have an impressively large screen and ultra-sleek laptop. Weighing under 2kg - equivalent almost to a few hardback books - the P65 offers true creativity on the go, with no compromise on professional artistry. Finally, video makers and more will be happy about its H.264 format video encoding, which is faster than the more popular content creation desktops out there. The white P65 Creator meanwhile has added ESS SABRE HiFi audio DAC, making for the highest quality, hi-res audio experience. It isn’t just the P65’s portability that gives you that extra freedom in the creativity department. With over eight hours of battery life and a wide range of ports, you can plug in and work or recharge wherever you want. Alongside HDMI and a mini-Display Port on both versions, Thunderbolt 3 is one of your port options with the limited white P65, allowing you to daisy-chain up to three other Thunderbolt 3 devices. No need to worry about insufficient IO ports with this laptop. While MSI has long cornered the laptop market for gamers, the brand has long known the needs of creators are different and more specific. 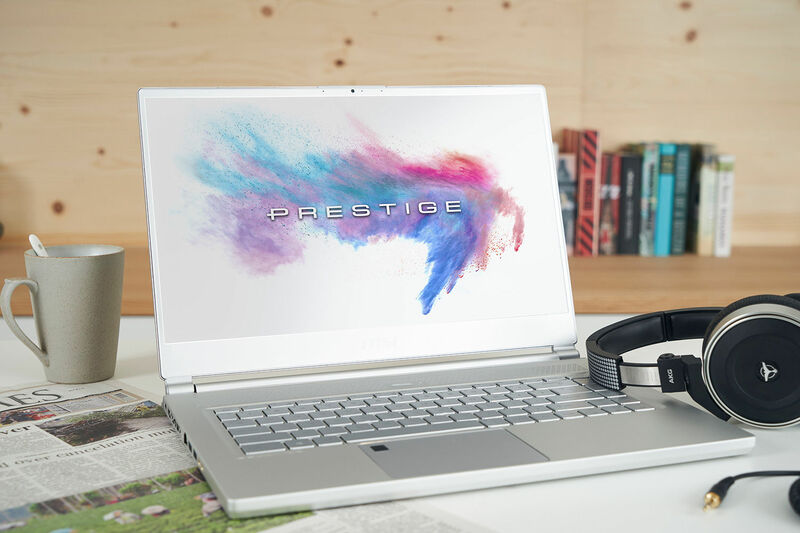 The P65 and other laptops from the 'Prestige' P-Series are specifically built for content creators using MSI's own assembly process facilities. As such, quality is assured with this range, and the P65 is no exception. 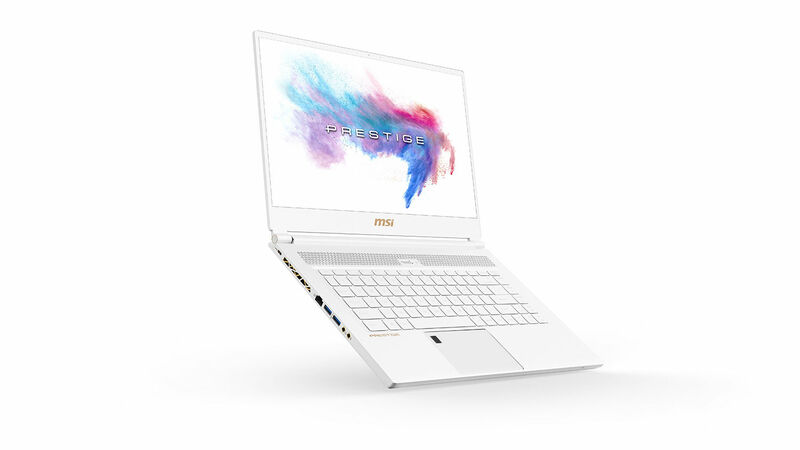 The P65 Creator from MSI is out before Christmas 2018 in the UK, starting from £1,699. The white model comes in a luscious pinewood package, including a double-sided suede sleeve bag and a one-year extended warranty service.